I wanted to write for a little about a book that was very influential for me a long time ago. It was also very influential to J. K. Rowling and her well-known series. T.H. 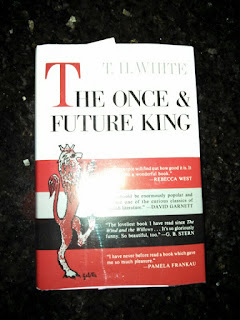 White wrote The Once and Future King which was published in '58 but was composed nearly twenty-years before. It is the Arthurian tales "re-imagined" by White. Dog, how I hate the word "re-imagined." Let's face it: it means ripped off in an un-credited fashion. Maybe that's a little rough. I've got a pinched nerve from tension and travel beds and I'm a little brittle tonight. Nevertheless, this work is the Arthurian tales through a different lens. I regret the language does not hold-up to our modern standard of tight writing in fiction. It is a good read nonetheless with a little indulgence. When you read it, you'll see the book is divided into four distinct series of tales with the over-arching themes and conflicts common throughout the book. Sound familiar to you Potter fans? Wart (Arthur) and Merlin are clearly reflected in H.P and Dumbledore. Oh - mind you I am not suggesting here that Ms. Rowling "re-imagined" the Arthurian tales in any of the negative light I painted that word above. In fact, there is a graceful deftness to her use of Wart and Merlin as archetypes in part for H.P. and Dumbledore to the extent that their transformation could encompass quite a lot of serious study. Rowling found the family silver in this T.H. White tale, polished it up, added gold gilding, and put out a product accessible to a modern audience. Here tale is different. Her writing is tighter. Her grace at lifting some of the best parts of these two characters for display was deftly executed. Nevertheless, this "source material" for you Potter fans is worth a read. The book is important to me for between it and the tales of Rosemary Sutcliff (Warrior Scarlet especially), I learned what Twain was trying to show me: books with children as protagonists do not have to be books for children. Now, this seems a very simple lesson, doesn't it? I read some Twain every year and have since I was eight. I consider it a duty to read this American writer as much as I consider it a pleasure. I don't like Twain's prose very much anymore. He's Churchill to me without the pleasing round parts. [ I like reading Churchill. We're both a bit too enamored with our own words and thus there is a kinship]. Nevertheless, from when I started writing for pleasure to when I took a bend towards a more serious pursuit I missed this point. 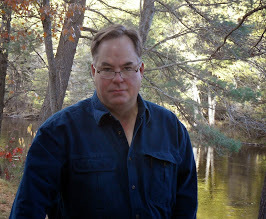 I didn't like characters who were children because I believed it denied a sense of seriousness in my writing and - worse - I though it limited my ability to express what I wanted to express. Sometimes we learn by being taught. Sometimes we learn in other ways and have scars to remind us. The latter was the case with illustrative children as protagonists for me. It was the reflection on the enjoyment of The Once and Future King which made me see how wrong I was in my perspective. Flannery O'Connor tried to show me as well but I was put off by my own rose-colored world-view [ which I had no Earthly business holding given my family and history]. If you miss something Twain is trying to tell you, you're going to miss it from a lot of other people too. T.H. White made me see I was wrong. J.K. Rowling didn't need nearly as much study to see the example clearly. She went to the head of the class on this point. I spent a bit of time in the back of the room eating paste. 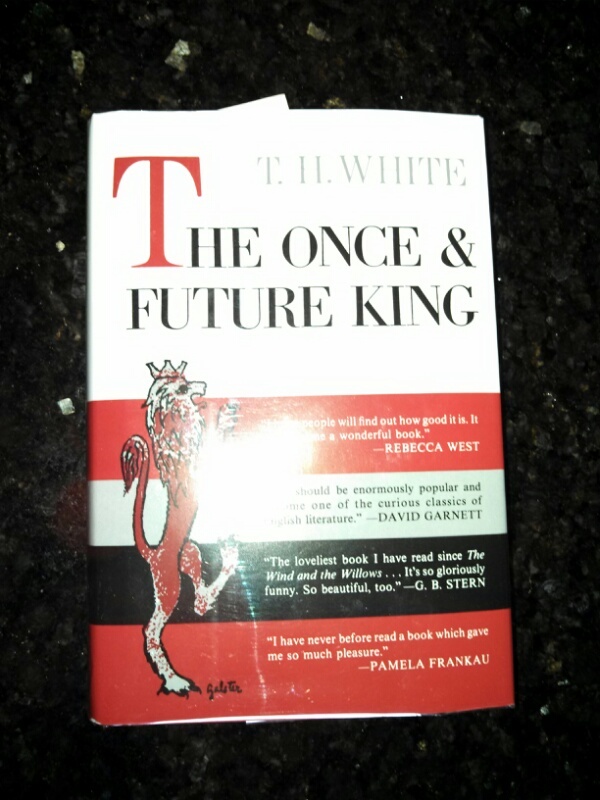 Read a little of the The Once and Future King and get the taste of Elmer's out of your mouth. T.H White was a fan of Voltaire and Candide. It all comes around and Dr. Pangloss says it's the best of all possible worlds just where we are right now. You know what Voltaire says? God is a comedian at whom we are hesitant to laugh. I hope you're writing. I know you're reading widely. Slip this one onto your list. It's worth the effort. I'll write again on Tuesday. Thanks Geno for finding this copy for me. It made my holidays - thanks to you. Well, I've added yours to mine. Congrats and the cover looks awesome. I'll wire you for the plug info as we get closer to release.